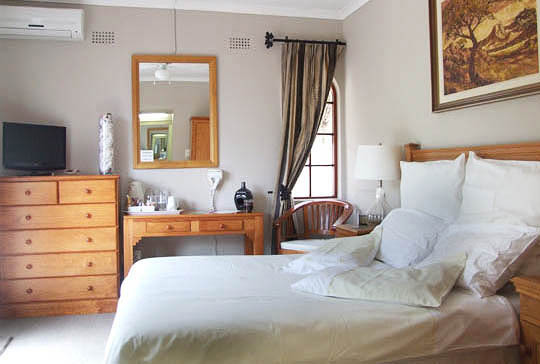 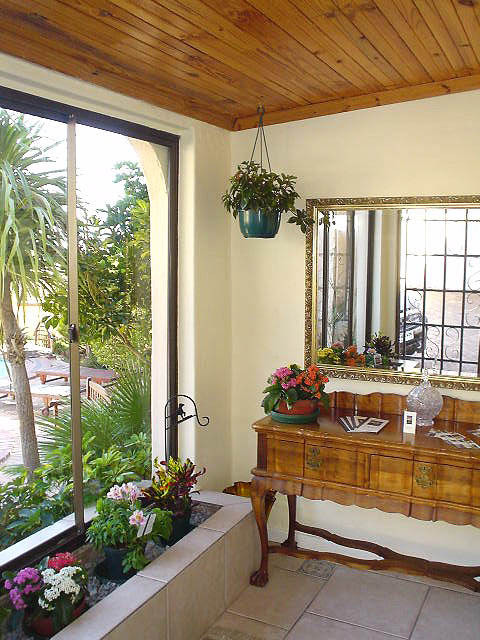 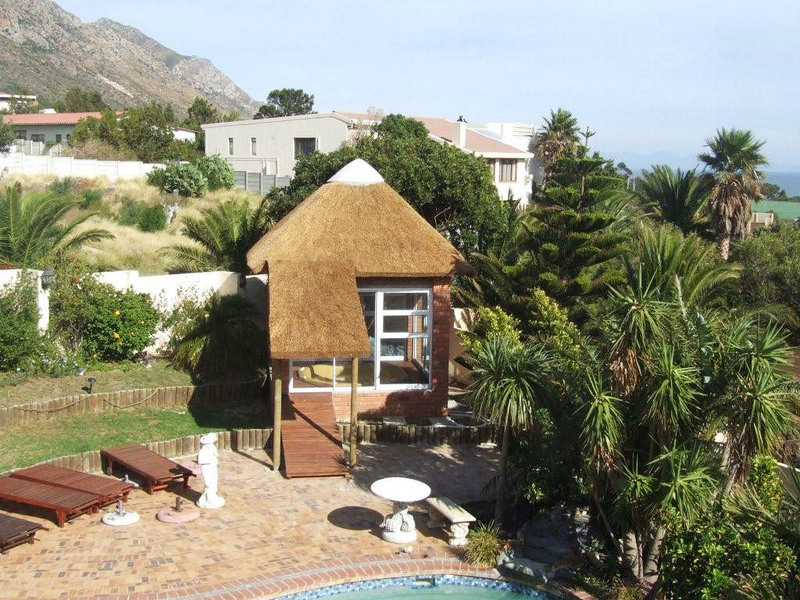 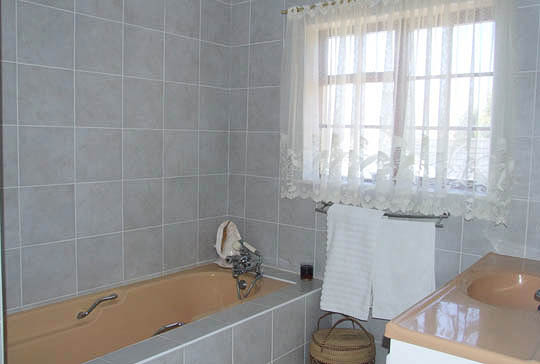 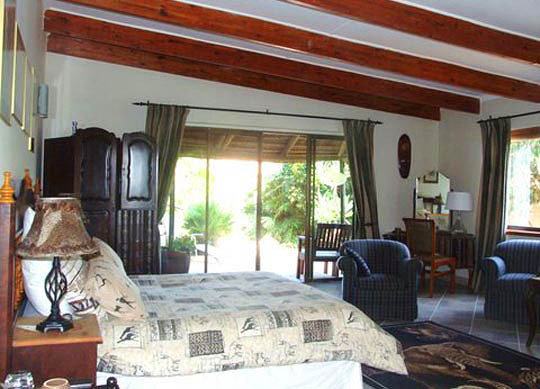 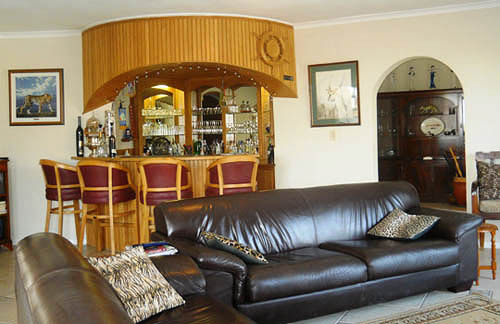 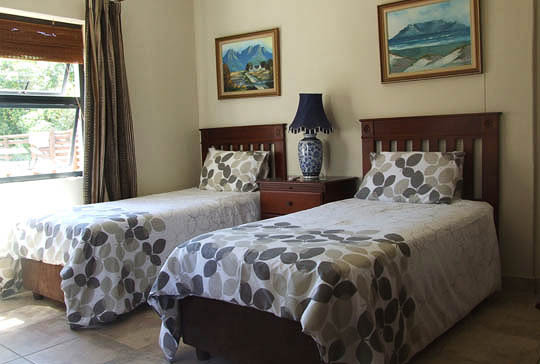 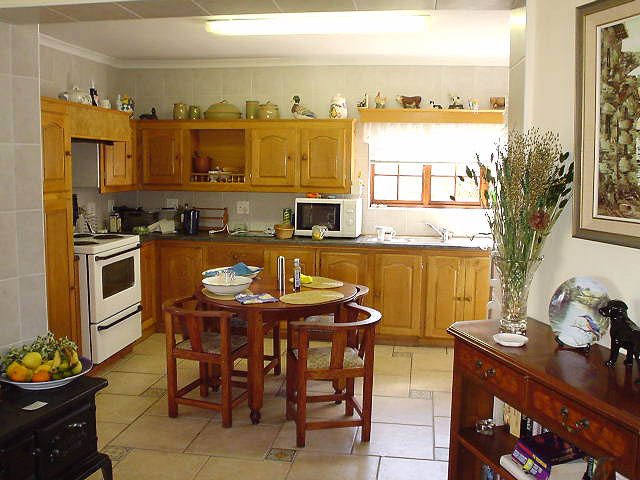 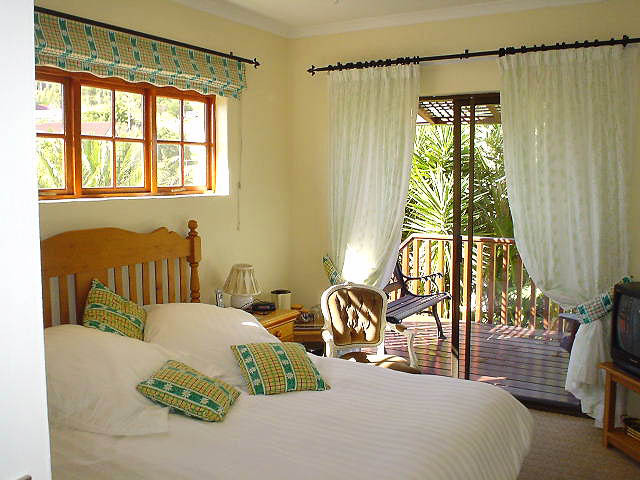 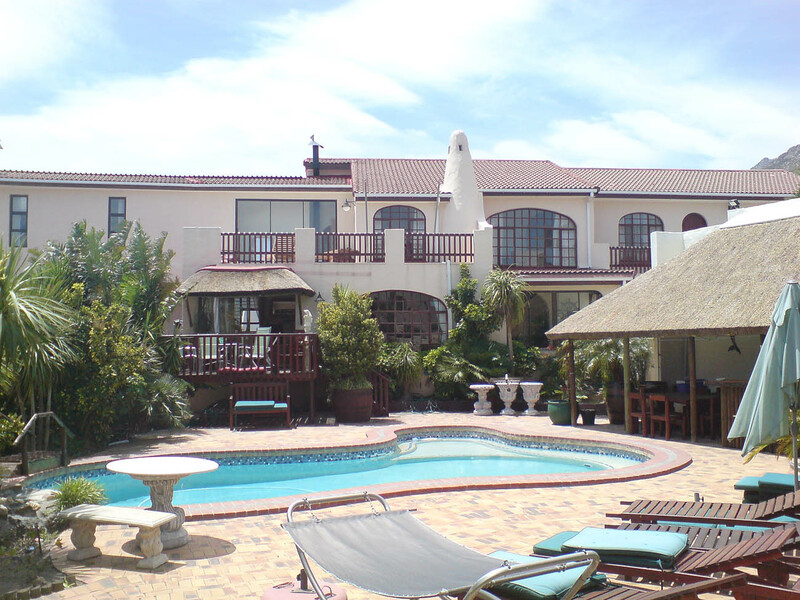 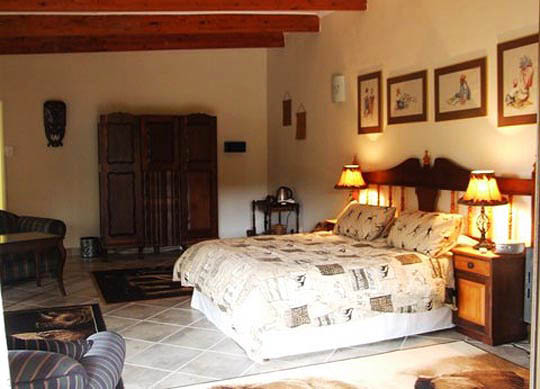 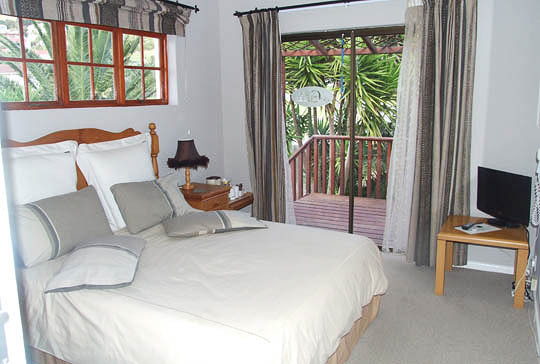 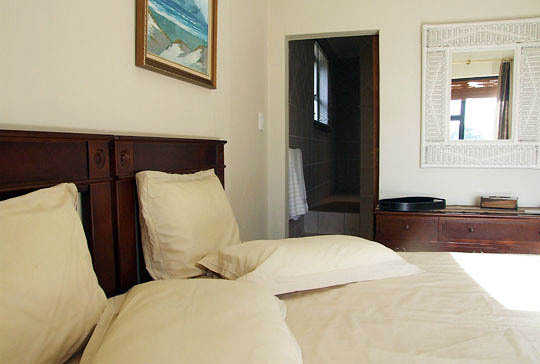 This beautiful Guest House is situated up against the mountainside, within a lovely garden. 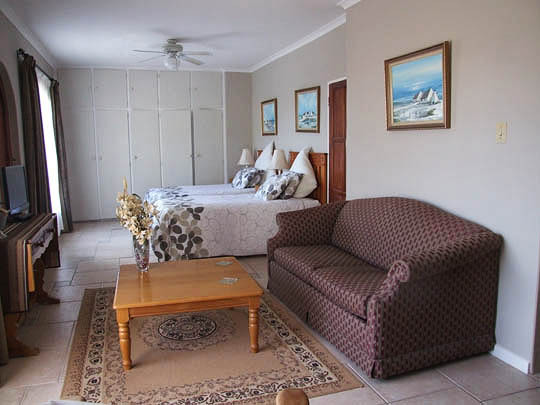 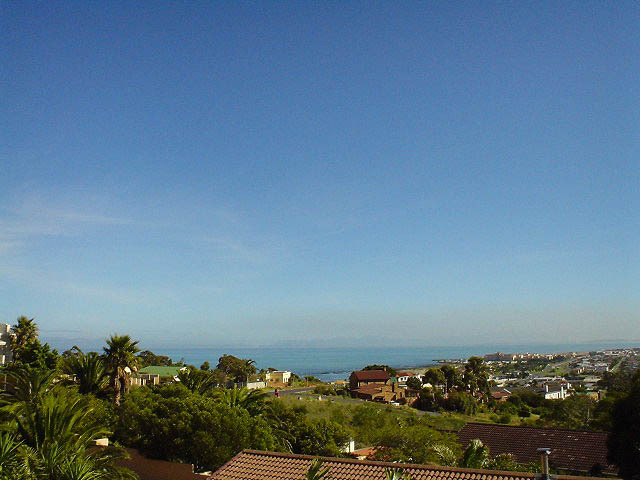 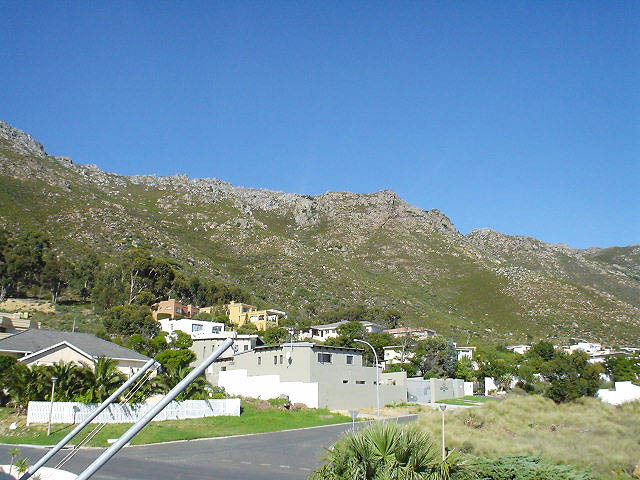 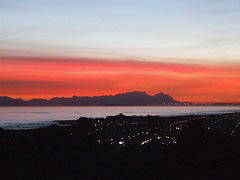 It boasts breathtaking sunsets and magnificent views looking across the Helderberg and Hottentot Mountains, with False Bay to the left and Table Mountain in the distance. 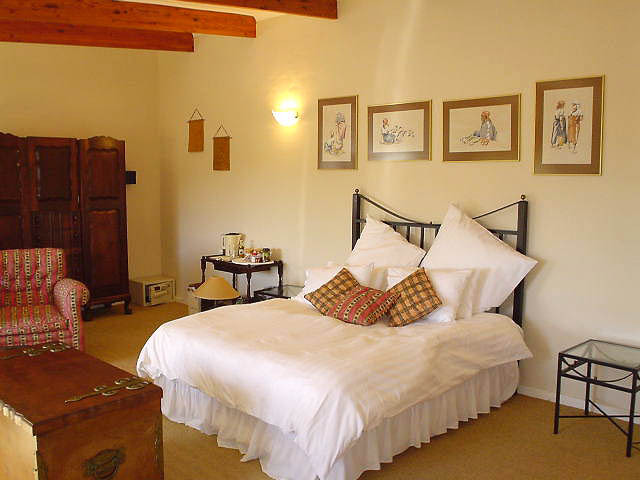 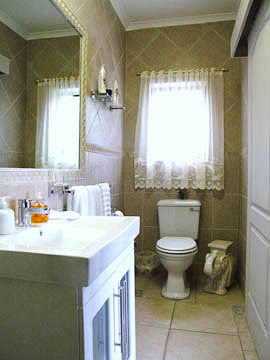 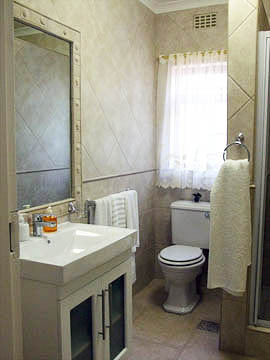 7 x individually decorated en suite bedrooms, two of which have both shower and bath. 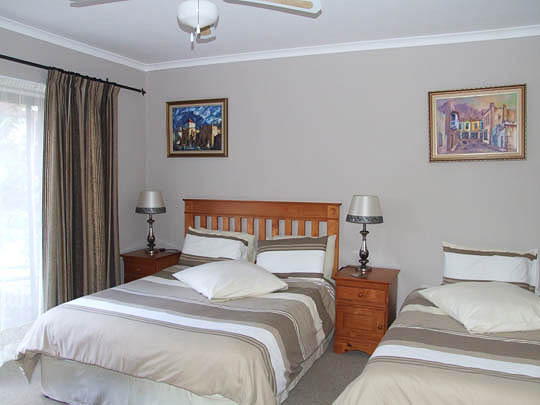 King, Queen, twin and sleeper couches. 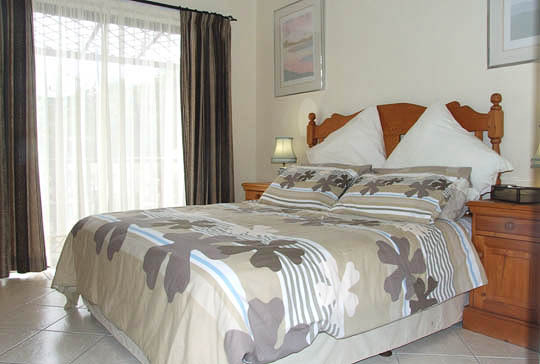 Each room has a separate entrance and a private veranda, or deck area. 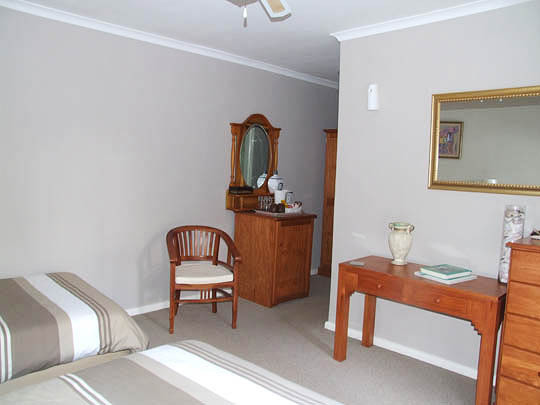 Mini bar, tea and coffee making facilities, television, hairdryer. 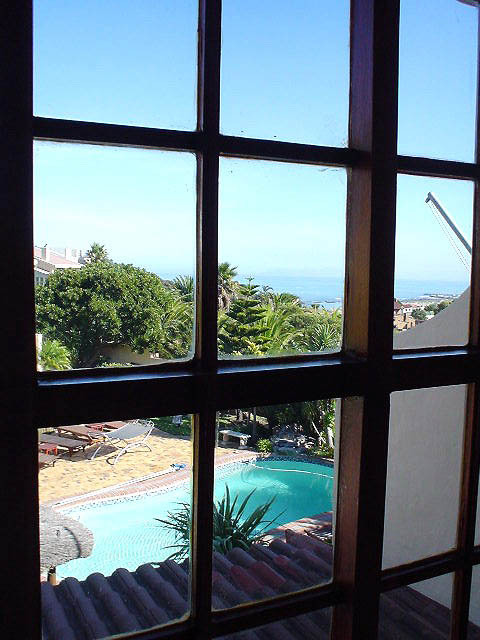 Superb English or Continental breakfast served from 8am. 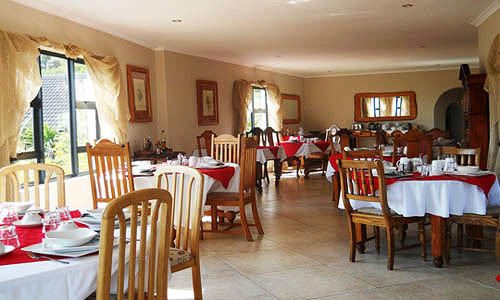 Individual lunch and dinner can be ordered on request. 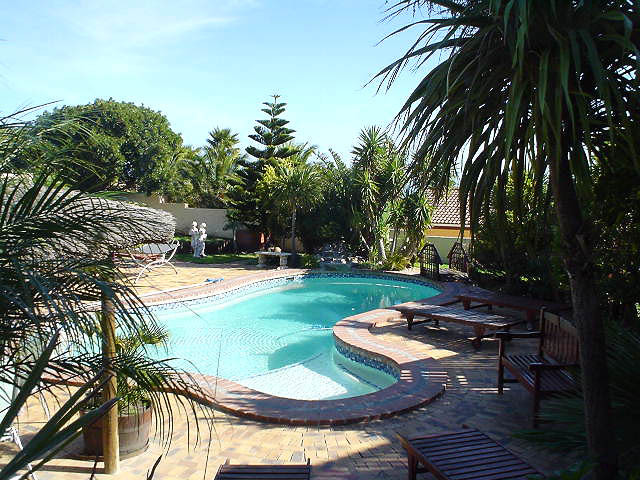 Relax in the beautiful swimming pool or Jacuzzi whilst enjoying a drink and braai (bbq) at the thatch roofed lapa in the garden. 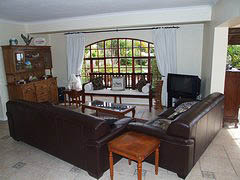 Alternatively, relax in one of the two lounges with a cozy fireplace.